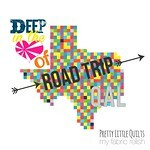 I am participating in my first ever blog hop over at Madam Samm's Sew WE Quilt. This blog hop is just for the boys! I finished Mr. 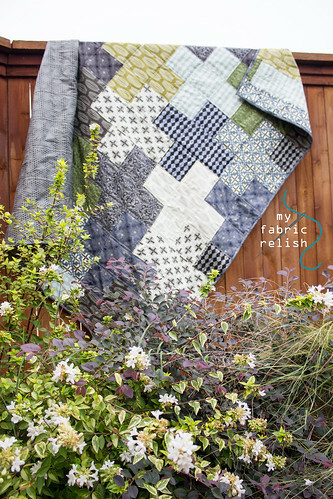 Relish's anniversary quilt back at the beginning of October by waited oh so patiently for my turn in this fun little blog hop. Please be sure to check out all the others hopping today! I first told y'all about my plans for this quilt here, where I also shared my first Mr. Relish quilts. I used this plus quilt pattern by For the Love of George, but altered it a bit to accommodate the amount of fabric I had available and also wanted to make sure this quilt was long so it covered his tootsies. Final measurements ended up being 60 x 78 in. I used natural Gutermann thread and just outlined all the seams. Easy enough for me! 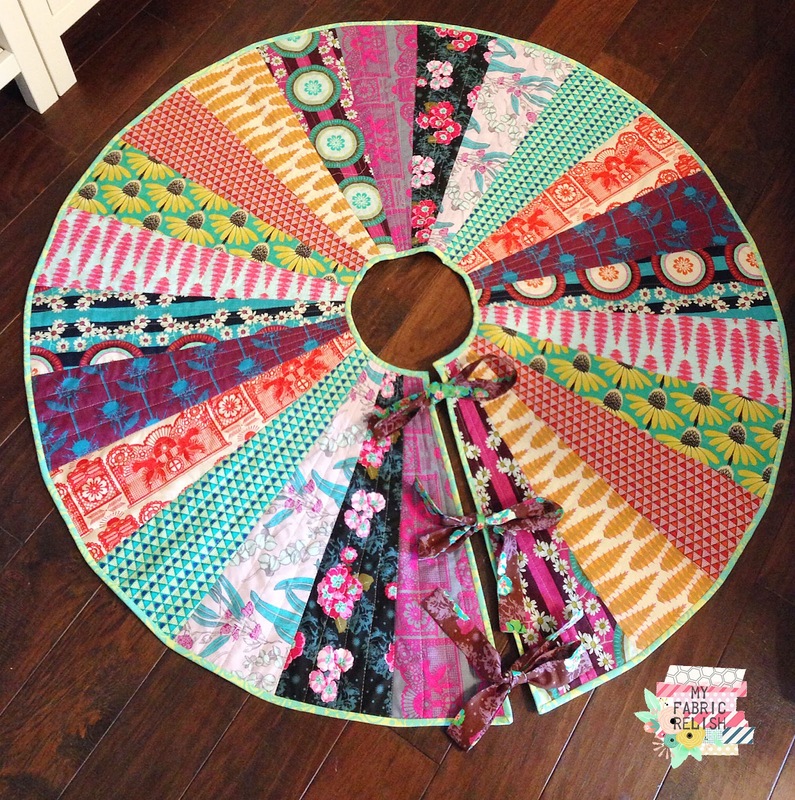 Linking up with all my parties on the right and Crazy Mom Quilts! That is one fab man quilt. I bet Mr. Relish love it and how appropriate to use material designed by a man. Love it!! Sew glad that you joined us! Thanks so much Amy for having me and all your hard work! 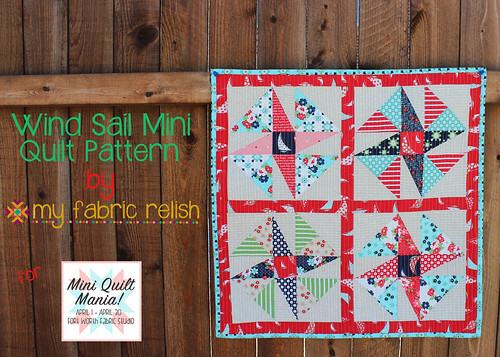 Perfect colors and design for your Mr Relish quilt! Thank you for joining the hop and sharing. Thanks so much, Judy! It was a fun one to make and Mr. Relish uses it every night, so even better! I love this quilt and your fabric choice is wonderful. Thanks for sharing your creation with us today! Oh, thanks so much and it was my pleasure to share with everyone! Thanks for stopping by and taking the time to leave a dear comment! Thanks so much, Margaret! I am so glad Mr. Relish loves it so much! Thanks for stopping by and leaving a comment! 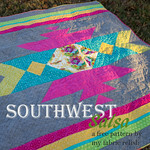 Very pretty fabric...love this quilt. Thanks for sharing! Thanks so much! It was my pleasure to share it! Thanks for stopping by to leave a sweet comment! Love your quilt! Love everything David Butler designs! Love Molli Sparkles! Oh, sister, you are speakin' my language! Thank you!! Hahaha...that Molli Sparkles is such a hoot, huh? Thanks so much for stopping by for a visit! Your choice of fabrics is perfect, Melissa! And that is a great size quilt! Love the pattern. Happy Anniversary you two Relishes! Thanks so much Lorna! Mr. Relish has been using it every night while lounging on the couch...perfect! Thanks for the anniversary wishes too! Have a great day! Thanks so very much! This was such a fun quilt to make and I literally had to hide every single scrap everyday so he didn't have a clue I was making it. He was totally surprised! Thanks so much for visiting and leaving a comment! Great job and great fabrics. Mr. Relish is pretty lucky. Thanks so much, Charlotte! And I will make sure I let him know that he is lucky! hahaha!! Thanks so much for visiting today! 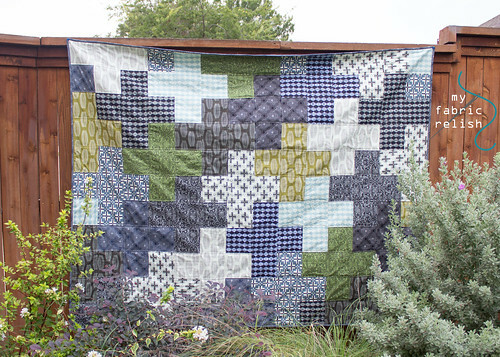 Beautiful quilt, love the fabrics! Thanks so much, Elizabeth! It was fun to work with such "manly" fabrics! Have a great day and thanks for the visit! Love your quilt - will have to make one for my husband. Thanks for sharing. Thanks so much, Joyce! I hope you get a chance to make your hubby one! Super easy and fun! Thanks so much, Mdm Samm! I really enjoyed making this one and having a blast with the blog hop! Thanks for sharing a picture on your blog as well! And thanks so much for all the work!! Love your quilt Melissa...hope you had fun with us! Thanks so much, Marjorie! Loads of fun! Have a great day! I love it everything about this quilt! hahaha....so glad you love it! It was lots of fun to make a super secret quilt! thanks for visiting! 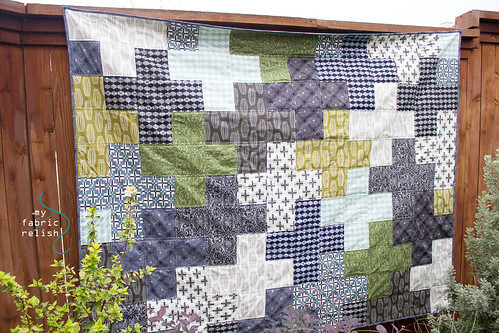 This is a wonderful quilt for a big boy, I love these fabrics, and you put them perfectly in scene!!! Thank you so much Judy! I had to sneak out into the back yard while the kiddos were eating breakfast to get these pictures. Thanks so much for visiting and the comment love! Hi Izzy! Thanks so much! It's been a long time coming so I am glad to finally share! Always glad to provide inspiration! Hope you make one, super fun and quick! Awesome man quilt Melissa ! Thanks so much, Vickie! AND thanks so much for stopping by and leaving me a comment! Love the quilt. Men's quilts always need to be altered so they are longer. Thank you, Renea! He says it's perfect in length...so glad I went longer! Hope you have a great day and thanks for visiting! Thanks so much! It was fun to make and play along in the blog hop! Thanks for visiting! Great jog! It is beautiful! Thanks so very much and thanks so much for visiting today! Your quilt is gorgeous! What a perfect design for a man! Great job! Thank you so much, Linda! Hope you have a great day and thanks for visiting! Aww, thanks so much, Rose! I am so happy to share and really having fun on this blog hop! Thanks for visiting and leaving a sweet comment! Nice job on the quilt. I love the colours! Thanks Leanne! I love the colors too, it looks great just hanging around the house on the couch! Thanks so much for visiting today and leaving a comment! Great quilt. Perfect for the boys hop. Congrats on your first blog hop, you did a great job. 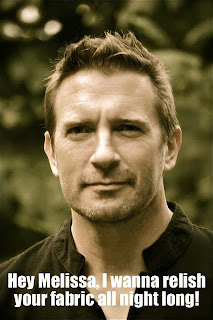 Loved your post and the David Butler is super fun. Lovely quilt, I made a very similar quilt with Parson Grey fabrics in April for my sons graduation in May this year. That plus pattern is a great pattern. Thanks so much! I bet your son loved it! Thanks for visiting and leaving a comment! Great quilt! I love the fabrics and the pattern. Thanks so much! It was fun making a secret quilt for my hubby! Thanks for visiting and leaving a sweet comment! Perfect quilt for the man in your life! Thanks so much, Sandy and thanks for visiting today! Great fabrics and quilt. Perfect for a man. Thanks so much! Mr. Relish loves it! Thanks so much, Joan! It was fun to keep it a secret! Thanks for visiting today and have a great day! This is a great man quilt! Maybe it is something with the plus pattern that works so well for guys. I've got fabric bought to make a plus quilt for my brother! Thanks so much, Kim! I agree, the plus just works for guys and it's not much more than just a bunch of squares and rectangles. I bet your brother will love his! Great job - it's a great looking quilt. Thanks so much, Christine! It was a nice change from the more girly fabrics I use. Thanks so much for visiting today and leaving a comment! Absolutely! Especially if they are funding the hobby! Thanks so much for visiting and fabulous comment! Happy Anniversary and hooray for the husband getting a manly quilt. Interesting pattern and thanks for including the link. Masculine quilt for sure! Thanks so much for the anniversary wishes! And you are so welcome for the link! Hope you have a great day! One of my fave fabric lines, this is a stunning finish you hubby is sure to treasure:-) Happy Anniversary! Thanks so much Heidi! He loves using it on the couch! Thanks for stopping by and visiting my little blog! Thanks so much! Such a fun blog hop! Appreciate your visit and comment...take care! Great anniversary quilt. Love the fabrics and colors you chose. That looks very masculine. He should love it. Thanks So much Tammy! I really enjoyed working with these colors and prints. Thanks for visiting and leaving a fabulous comment! Love the colors and pattern,great guy choice! Thanks for sharing. Thanks so much and happy to share! Thanks for visiting today!!!! Beautiful quilt, Melissa. Perfect for the man in your life. Thank you for sharing and Happy Anniversary. Thanks so much Joyce! 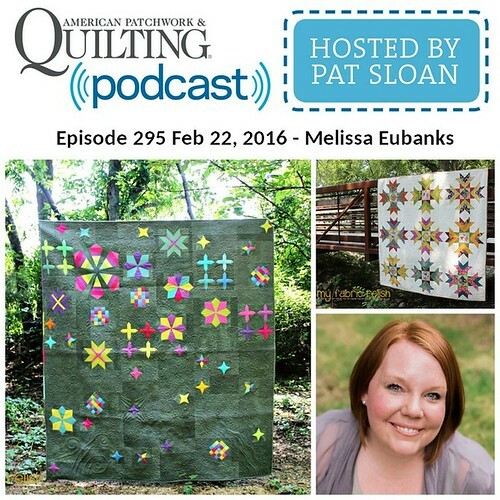 He makes all this quilty fun happen! Thanks for the anniversary wishes, too! Love the colors and the pattern. Your man will love it. What a terrific man quilt. I love it with the cross design and my fav color is blue and my next fav color is blue. My favorite color combination is blue and white. I like the greens and greens that really work very well with the blues. Thanks for sharing your creativity. Hope to see you in more blog hops soon. Thanks so very much, Carol! Thanks for visiting today! Awesome quilt for your man! Thanks so much! We had a great one! Thanks for visiting! Great quilt. Every time I see that fabric line, I realize the majority of my fabric is "girly". I think I have the same issue! It was fun to work with some nice handsome fabric for a change! Thanks so much for your sweet comment! Great Manly Quilt Melissa! This would be a great pattern to use for a quilt for my son! Thanks so much, Debbie! I bet your son would love a quilt like this! 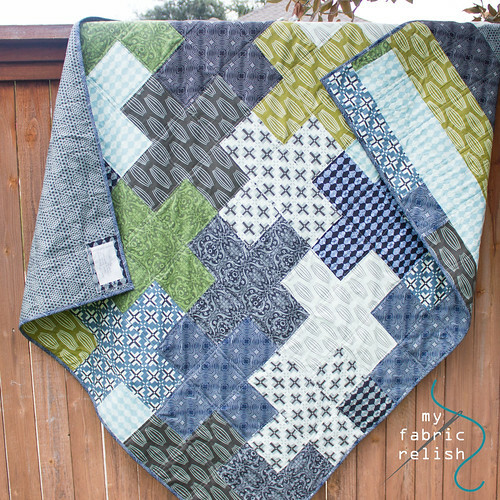 It can be hard to make a quilt masculine and hip...hope you give it a try! Thanks for the visit! Great job. Love this. It is all man. If you changed up the fabrics, the pattern would work as well for boy, girl, young or older. Thank so much, Evelyn! 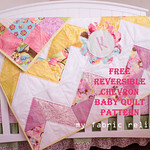 Ive seen this pattern made into girl quilts and they are fabulous! Thanks for the visit and comment love! Thanks so much, Pauline! It was a lot of fun and hop to hop again! Take care! Thanks so much, Margaret! The Parson Grey fabric line just screams boy! It was super easy to pick these out for Mr. Relish. Thanks so much for visiting! Wow - LOVE those fabric choices - your hubby is a lucky guy! Thanks Abby! I think he is very lucky too! haha - - Thanks so much for visiting today and hope you visit again! I love your anniversary quilt! I think I need to make one of these for my hubby - great job! Thanks so much! I think your hubby would love one! Thanks for visiting! What a pretty man quilt! Great job. Thank you so much, Deb! Hope you have a great weekend! That is absolutely perfect quilt! Love it! Thanks so much Vera and thanks for stopping by to visit! Thanks Audrey! I bought these in September so there still might be some at Hawthorn Threads. It was on sale and pretty cheap so I got 1/2 yard cuts! You have made the perfect quilt for this boys hop, wonderful, congrats! Thanks so much! It was a lot of fun to play along! 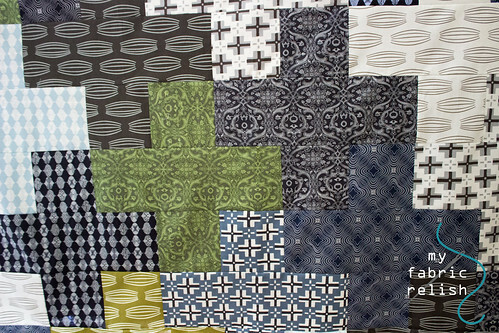 Your man quilt is gorgeous; love the colors and fabrics. Great quilt! The pattern and fabric work so well together for a guy's quilt! Thanks Kathy! It was a fun and easy pattern to work with! 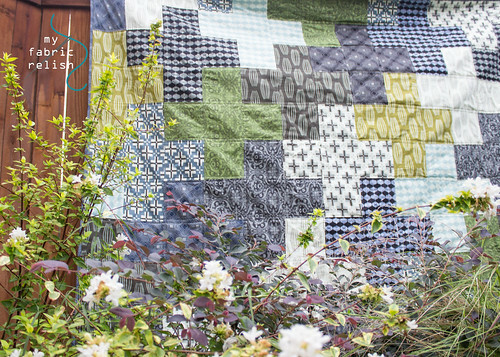 Love this quilt and the pattern you used. I now know what quilt I will be making for the hubby! And I just love Mr.Butler! Oh, thanks so much Toye! I bet he will love a quilt like this! Share if you do!! this quilt is perfectly manly, Melissa! I love the fabrics and the pattern. and I have to say that I laughed out loud when I read the meme. hilarious!! Thanks Kelly! I begged Molli Sparkles to make me that meme! He is so funny! Such a great quilt for a guy! Love those fabrics, and they work so well in that pattern. I have been so patiently awaiting the man quilt. I love those fabrics, and it came out wonderful. Congrats on your blog hop too! The quick peek at the back looks great too! Oh, Im sorry I kept everyone waiting so long! It was finished at the beginning of October but decided to do the blog hop so it just sat there waiting it's turn. Im so glad you like it! Mr. Relish loves it! Have a great week! I really like your choice of fabrics AND how you've combined them... not an easy thing to do. A fabulous quilt!!! I hope you don't mind, but I've pinned this. Tried to pin, but looks like you don't want people to pin your pictures and I totally get that. I have pinned your header so I remember how to get back here when I'm looking for ideas for fabric for a man's quilt. Hope that's OK.